David Gauke: He wants to push working families further into poverty. What was that about the Tories being the “Party of the Workers” again? They have set the regulations for Universal Credit to ensure that if a household has two people at work, the taper rate – the amount of Universal Credit withdrawn as earnings increase – is greater than under the current system of tax credits. It means the minority Conservative government is intentionally making sure that working families take home less money under the new system. “Party of the Workers”? Party of screwing the workers, more like! And guess what? 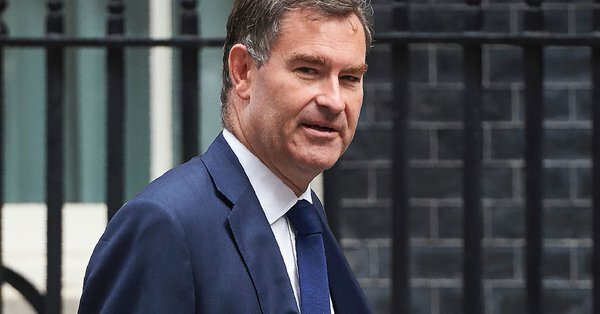 Work and Pensions Secretary David Gauke is so pleased with the wholesale harm his system is dishing out to working people, he wants to ramp up the speed at which it is rolled out – from five Job Centres a month to 50. So much for the Tories’ claim that “Work is the best route out of poverty”. But then, it is typical of Tories to say one thing and do another. What else can you expect from the Party of Liars? Universal Credit was branded a “disaster” yesterday after it emerged the new benefits system could leave working families £50 a week worse off. New research shows the welfare reforms will penalise second earners [a second person in a household, usually a spouse, who also earns a salary] if they take on more hours. House of Commons Library figures commissioned by Labour MP Frank Field found the taper rate – the amount of Universal Credit withdrawn as earnings increase – is greater than under the current tax credits system. At the moment second earners lose 41p for each £1 they earn but with the Universal Credit this increases to 63p for every £1. This means that someone earning £5,000 a year would see their income fall from £2,950 under tax credits to £1,850 under the Universal Credit. This taper rate was public knowledge literally years ago. Remember IDS resigned when Osbourne pushed this taper up, it was going yo be 65% taper, but IDS “negotiated ” it to 63%, but a few weeks later resigned allegedly because of this. Frank Field must be having a senior moment if he doesn’t recall this, but perhaps he is working to try and salvage something from his illustrious career as a Tory.